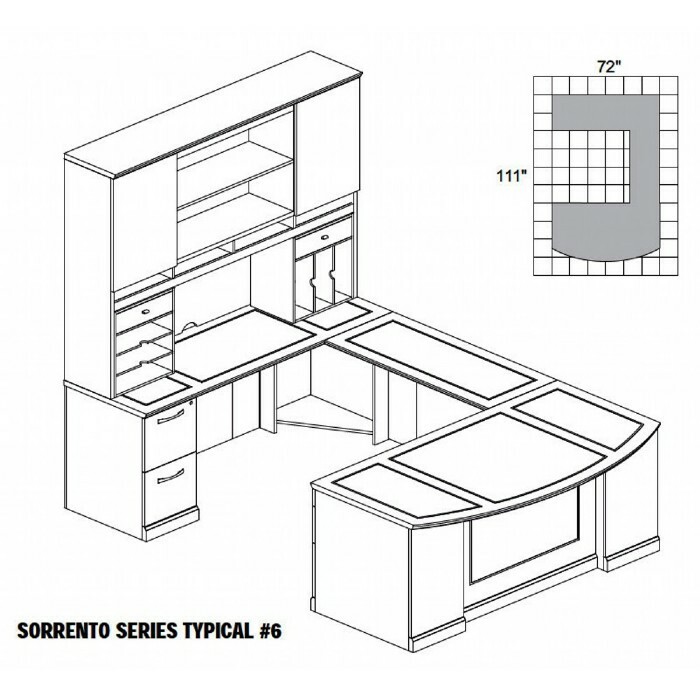 Sorrento Series Typical 6 Desk Suite. 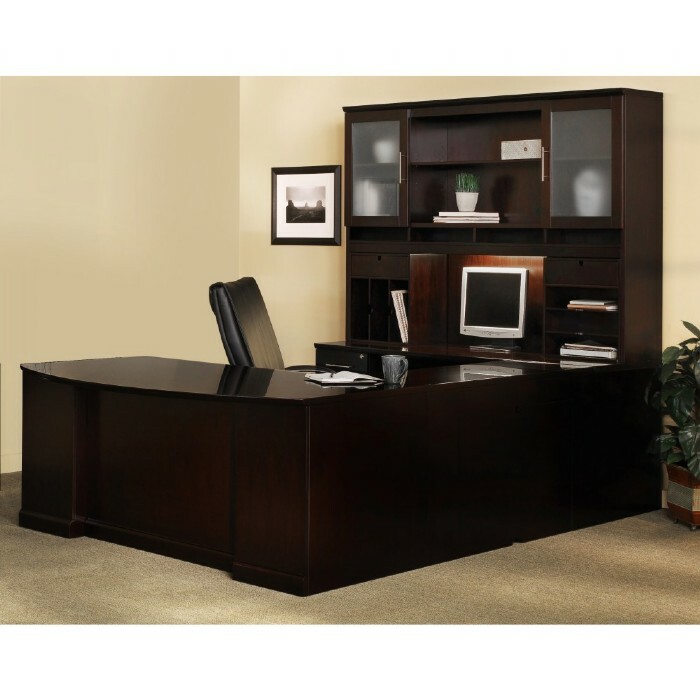 Transitional line of wood office furniture for executive offices, individual work spaces, conference rooms and reception areas. 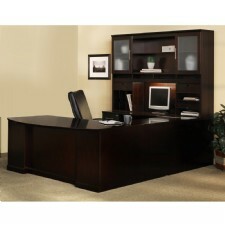 Wood Veneer U-Shape set with Hutch. 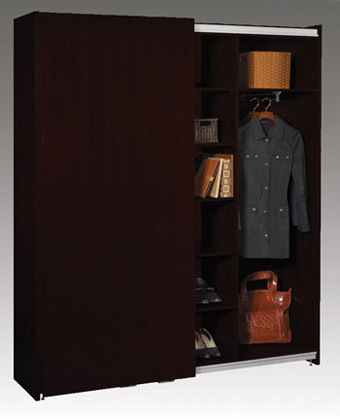 Available in Cherry finish on Cherry Wood or Espresso finish on Walnut. Bourbon Cherry hutches come with Wood Doors. Espresso hutches come with Frosted Glass Doors. 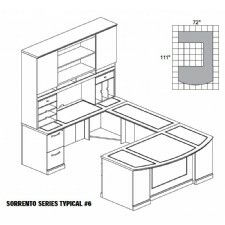 Dimensions: ... 72" x 111"
All cabinet interior shelves and backs are first quality finished veneer. 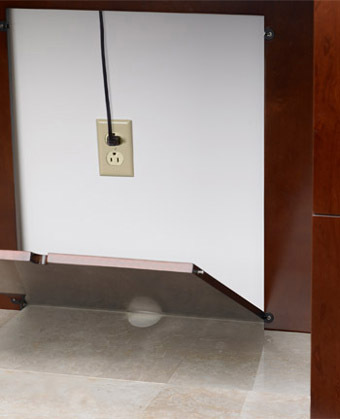 All cabinet doors feature self-closing European style hinges. 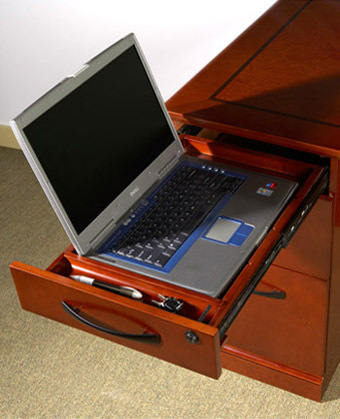 Center drawers feature solid wood frame with leather inserts. 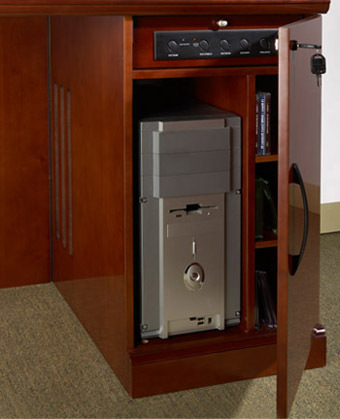 Optional CPU pedestals feature a ventilated CPU tower compartment, three adjustable storage compartments, and a standard power module with outlets for CPU, Printer & Monitor.